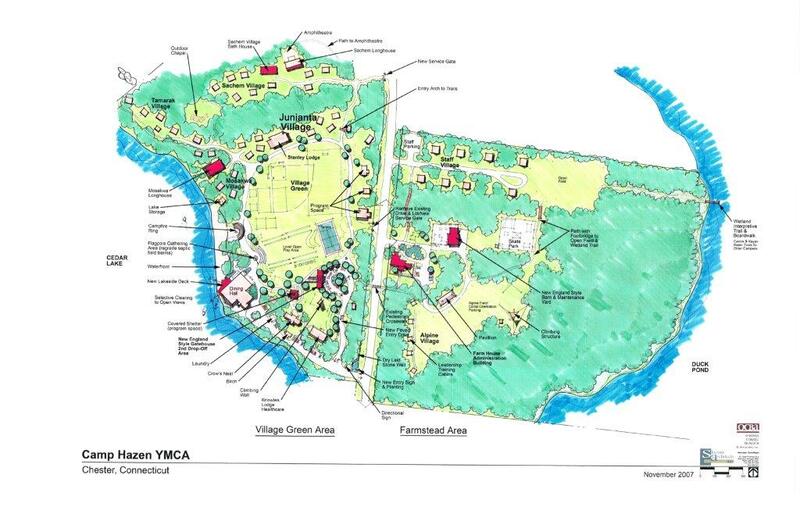 Camp Hazen YMCA is one of New England’s most remarkable summer camps and outdoor education centers. We have been providing quality camping experiences for kids, families and school groups for more than 90 years. Camp Hazen YMCA is committed to helping youth develop valuable life skills through camping experiences that build healthy bodies, open minds and awakened spirits. Camp Hazen is truly the place where kids can grow through the years. With Day Camp programs that begin in 1st grade, Overnight Programs that start in 3rd grade and a world-class leadership program for 11th & 12th graders, Hazen has a unique ability to become just like home for kids of all ages. Families feel great about choosing a camp for their child that will become theirs forever. Established by the Connecticut State YMCA in 1920, Camp Hazen was named after our founder, Senator Edward W. Hazen. In the early years traditions were formed that continue to this day. Campers still enjoy campfires, cabin chats, singing, camping out in the woods and the revered Candlelight Ceremony. Hazen has a long history of strong leadership. Since 1999, Denise Learned has been Executive Director, following in the footsteps of Tim Milbern, Sue Edmonds, Russ Gormley, Howard Bunting, Archie Knowles and Pop Stanley. Under their careful watch, the tradition and history of Camp Hazen has been passed from one generation to the next. Today, we continue to build strong kids. With an exceptional summer camp program and a school group program that is unlike any other, Hazen remains committed to the growth and development of kids. Copyright © 2019 Camp Hazen YMCA. All Rights Reserved. This Website was created by Lighthaus Design.